TorrentFreak has released its list of the most downloaded movies through BitTorrent over the past week. TorrentFreak uses its estimates of the number of times a movie was downloaded for its weekly chart. 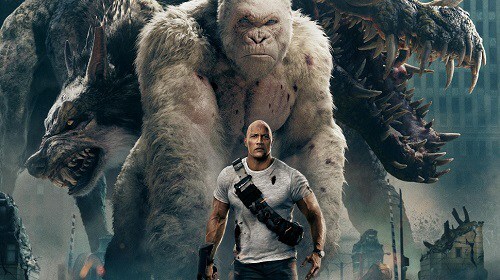 Rampage entered the charts in the top spot this week, with Ready Player One in second and Escape Plan 2: Hades in third place. “The data for our weekly download chart is for informational and educational reference only,” said TorrentFreak. New movies shared via torrent sites, and included in the list below, are typically “illegal” copies, as they infringe on the copyright of their respective content owners.